Sigiriya is a small town in the Cultural Triangle which is renowned throughout the world for its once-spectacular 5th century palace, which was built atop a towering rock, flanked by protective garrisons, a crocodile-filled moat and a juxtaposing, complex system of beautiful water gardens. 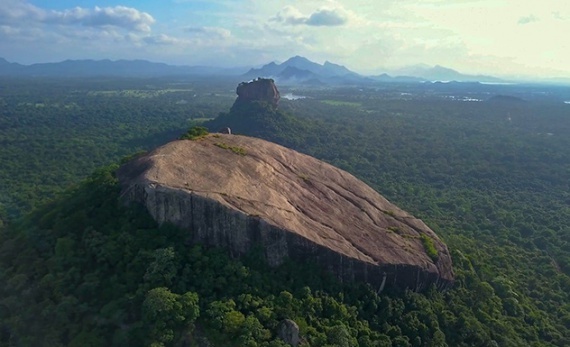 King Kasyapa, who built Sigiriya Rock Fortress as a refuge after he killed his father to take the throne, devised a system to transfer water between the top and the foot of the rock, which is one of the most incredible feats of engineering in Sri Lanka’s ancient history – and in the world’s ancient history. The ruins of the palace can still be seen, including a giant lion’s paw which marked the entrance and the enormous baths which look out over the spectacular panoramic views, as well ancient cave paintings mid-way up the rock. 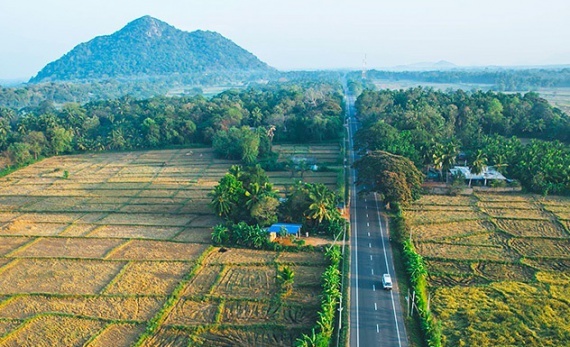 Climb to the top of Sigiriya Rock Fortress, or visit other nearby cultural sites including Dambulla Cave Temple or the medieval citadel of Polonnaruwa. 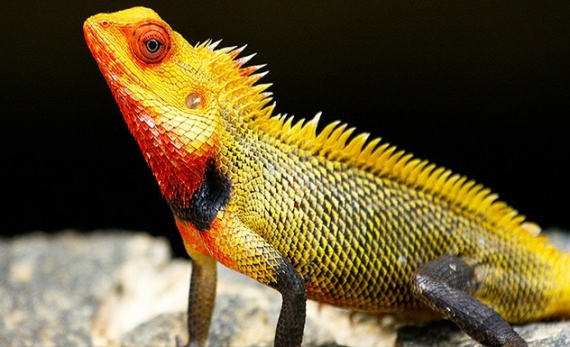 You can also go on safari here – Minneriya National Park is a great alternative to the busier parks in the south, and it still boasts a wide range of Sri Lanka’s wildlife, including the iconic leopard, elephant and sloth bear. Despite his almost impenetrable stronghold, Kasyapa was defeated in battle and his half-brother subsequently reigned from his fortress-palace paradise. With 1,200 steps to conquer, this climb can take anywhere between 1.5-2.5 hours. There are glorious views from the top. Embark on an hour-long hot air balloon ride at sunrise and watch the beautiful plains of the Cultural Triangle unfold beneath you. 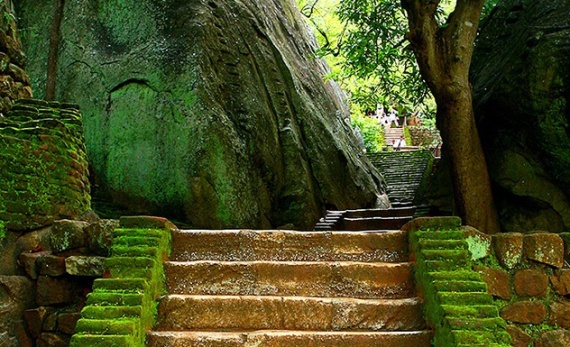 Pidurangala Rock sits opposite to the more famous Sigiriya Rock and is a more challenging climb which leads to stunning vistas overlooking the region.